Ashling RiscFree™ C/C++ Development Suite for RISC-V Devices. 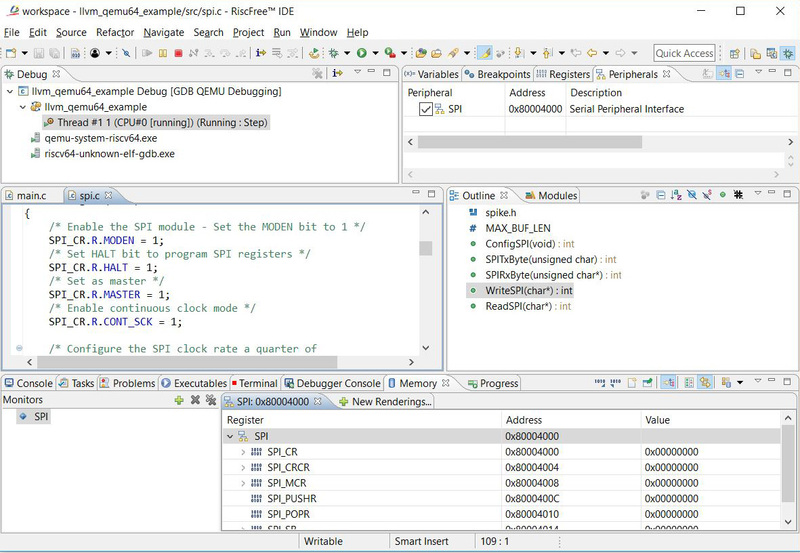 RiscFree™ is Ashling’s Eclipse-based Integrated Development Environment (IDE) for RISC-V and provides a complete, seamless environment for RISC-V software development. Ashling provides a comprehensive tools solution for any RISC-V based MCU including C/C++ cross-compiler support for any RISC-V ISA with custom extensions. RiscFree™ includes a single-shot installer that installs and automatically configures all the component tools to work “out-of-the-box”. 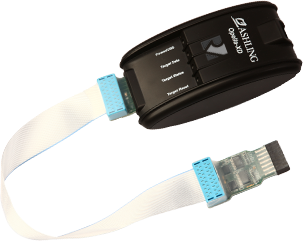 Ashling’s Opella-XD is a high-speed JTAG debug probe for embedded development on RISC-V cores. Opella-XD for RISC-V is the latest in a number of high speed debug probes supporting MCU, SoC, and Soft (FPGA) based designs and highlighting 30+ years of experience developing and building embedded development tools. Fine-grained adjustment of JTAG clock frequency from 1KHz to 100MHz. Please fill the form below to request a Password to download the RiscFree™ for RISC-V evaluation. * RiscFree™ tools are free to use for non-commercial applications or evaluation. Please refer to our licensing terms and conditions below. This software is free to use for evaluation and non-commercial use. For commercial use, you need to purchase a license before starting any actual development work. Contact Ashling for pricing and licensing details. By the act of installing this software package, reviewing the license agreement (during the install process) and clicking “Next” you subscribe to and agree to the licensing terms outlined. Complete this form to request via email a password to download your RiscFree evaluation.